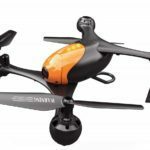 Are you searching for the best drone under 50? 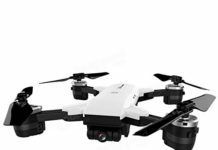 Of course, that you are reading this is an indication that you could be looking for the best affordable drone. Well, there are many, and the TOPVISION X39 is one of them. It is not only a very stylish drone, but it is also sleek, has a camera with a wide angle of view and is foldable. But that is not all because in the upcoming sections, you will see many more features that this drone comes with. Is it worth it at this price? 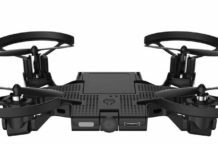 It definitely is and going by the positive reviews left for the TOPVISION X39 drone on various online marketplaces, it will be money well invested. For the physical attributes of this drone, it is small and good-looking. The bold black color and the small gold touches make this drone look dashing indeed. At the same time, the propeller guards stretch sideways to protect the front and back propellers. This adds to the looks of this small drone. This is a foldable quadcopter. This makes it easy to pack in your backpack and travel with. 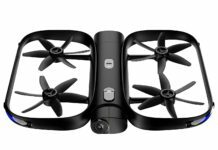 This drone has been designed with a 480P camera that has a wide angle of view at 120 degrees. The camera is FPV-enabled meaning that with a smartphone, you just need to download the app and start enjoying a good first person view. You will see just as if you were inside the drone. The Wi-Fi control – the real-time video transmission distance is 30 meters. The 6-axis gyro flight system keeps things stable even when there are flight disturbances. Thus, you can expect consistent video quality even when there is slight wind. The one key takeoff and landing is a standard feature for both cheap and advanced drones. It is a good feature especially for beginners. This way, you do not have to fumble around when launching the drone. In addition, this is also a safety feature. If the drone meets an obstacle in its flight path, you can stop it from crashing with the one-key takeoff and landing button. The TOPVISION X39 comes with two batteries. One is a bonus. The 3.7V 380mAh battery can give you a maximum of 8 minutes of flight time, when there is no wind. The second battery can give you the same amount of flight time. You can also order spare batteries to increase the flight time. The charging time for one battery is 70 minutes. The control distance with Wi-Fi is 30 meters. For the transmitter, it is longer than that. The controller is small and nimble, with responsive buttons and knobs. It is powered by three AAA batteries. These are not included in the purchase, so you will have to buy them separately. It also has a smartphone holder. No one likes to buy a drone that just flies without doing much else. Thankfully, the TOPVISION X39 does much more than that. It can perform nice stunts such as 360-degree rolls in all directions. This is a nice feature to wow your friends. One of the things that you will love about this drone is that it has 3-speed settings. If you are beginner, just start with the lowest setting and you can later upgrade on speed. You will also love the fact that you can do trajectory flights. You just need to tap the trajectory feature on the app and draw a route that your drone can follow. Altitude hold – Just set a height that you would like the drone to hover at and when you press the altitude hold button, it will hover. Headless flight – This is a good beginner feature. It means you can fly the drone without worrying where the nose is facing. 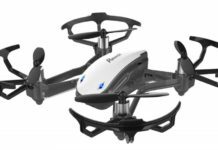 I was apprehensive about buying this drone considering its low price, but I changed my mind after flying it for a couple of times. It does everything that the manufacturer says it can. I am glad I bought it. Martin M.
I was looking for a nice but affordable gift for my son for his 14th birthday. When I found the TOPVISION X39, I was glad that it was rated to be used by 14 year olds and above. Stella R.
I am a drone enthusiast and I bought this one just for the price, to add to my collection of small drones. I did not expect it to do much, but I have been pleasantly surprised. It works, and the video footage is not that bad when you use it in daylight. Drew K.
This is my very first drone and I have been having a lot of fun playing with it. I am yet to figure out some of the functions but I will. I only regret getting into the drone game this late. Candice A.
I love the wide angle of view for the camera, the small size of the drone and the foldability. It flies like a darling and I would buy it all over again. By the way, I am 65 years old and I am having lots of fun. I know… so what! Red S.
To me this is surely the best drone under 50. I say this because it is so affordable. 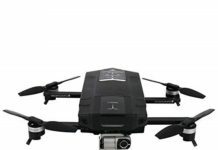 It also has many of the features that advanced drones come with. I wish the camera could take stunning video footage, but for that price …. Diana C.
I bought this drone several months ago. No regrets at all. I love everything about it, but mostly its simplicity of use for a beginner like me. Vic K.
Who Should Buy The TOPVISION X39? If you love a drone that is sturdily built and flies very well, buy this one. 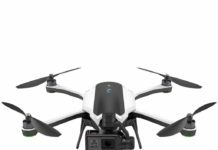 Even if you are looking for your first drone ever, this one will meet your needs perfectly. Being a cheap drone, it is wonderful that it has so many features. Just do not expect it to take high quality videos because it is just not made for that. 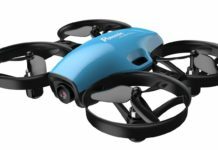 Considering everything especially the small price, this is a good drone to buy for fun. The TOPVISION X39 is a good drone. It is affordable and has many features. However, if you would like to enjoy flying this small drone, there are a few recommendations to bear in mind. First, you need to calibrate this drone so that it can fly and hover as you want. 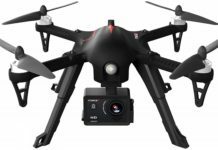 Second, you can buy additional spare batteries if you want more flight time, but if not, the drone comes with two batteries. Third, make sure you study the user manual carefully before you can start flying the drone. Overall, this is the best drone under 50. You can save money and have fun.